TesseracTstudio presents new compilation under the name of Cell 04 which symbolizes a part of TesseracT. This VA contains 20 carefully cellected tracks by DJ Vucko. Cell 04 has been cellected by DJ Vucko and includes a wide range of divergent tracks: from something to start the party with, through progressive ride and all the way up to immnse dance-floor psychedelic tunes, including artists such as The Riddler, Zyce, Liquid Soul, Genetrick, Ectima, Arhetip, Lyktum, Shogan, E-Clip, Flegma and many more! By exploring new sound production tricks and techniques and experimenting with new sound forms and effects we are building knowledge base shared between our members on benefit of all. Enjoy the specially cellected Cell 04 and stay tuned for Cell 05! This Goa Vol. 67 Compilation is again a very special release indeed. This double CD release is compiled by head label manager of Y.S.E. Recordings DJ BIM & the Austrias outstanding psychedelic trance producer Aioaska. Together they like to take you with Goa Vol. 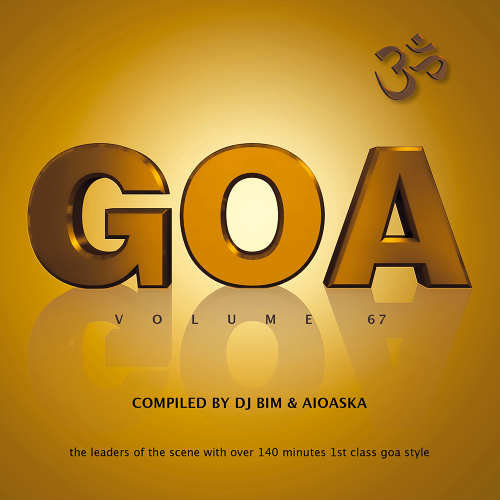 67 into a real deep journey of magic & high quality Progressive and outstanding Psychedelic Trance taken from todays wide spread range of Goa Trance. Featuring Artists like Aioaska, Drukverdeler & DJ Bim feat. Ellinio, Gipsy Soul, Atacama, Dragon Culture, Kanobi, Orisma. All contributing to this fantastic double pack suitable for the lover of Progressive moods and Psychedelic excess. We like to welcome you to this 412th release of Y.S.E.